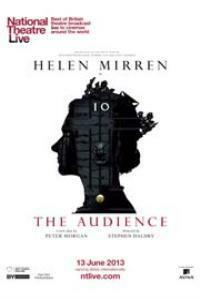 As part of the Dendy Arts program from the National Theatre Helen Mirren stars in 'The Audience', a series of meetings between the present Queen and her 12 Prime Ministers, on matters both private and personal. Elizabeth II became Queen in 1952 and since then every Tuesday night for 20 minutes she meets with her Prime Ministers. The first was Winston Churchill, then 74, and perhaps he said 'I talk and stand, you sit and take notes'; he was well known for his wit and statesman qualities, she was just 25. Since then she has meet with 11 other British PMs. What goes on in these meeting one will never know as no records are kept. She doesn't give interviews and everything she says in public is written for her by professionals. So how does the public form a view of this women? From the press, mostly smiling, doing her duty as she promised to do at the age of 14, to serve her people for the rest of her life. She may well be the best behaved monarch - ever. As the years go by, the voice, clothes, posture, facial expressions, hair and PM's change. What do we really learn? Who does she favour? Nobody knows. Is it unlikely Harold Wilson said to her 'inside there is a Labour Women'? Hard to believe. Is she witty, is her favourite place in the world Scotland where she can 'let go', what is her stance on poverty and did the Iron Lady play the grand lady at their meetings? It would seem her 12 PM's treat the monarch like a mother figure, discussing their problems i.e. not getting enough sleep, overworked, depressed and not loved but hope at least they are respected. Helen Mirren dominates the stage the whole time, it's her show. She has played Elizabeth II before, so it was a shoe in that writer Peter Morgan would make no other choice for his leading lady. Before long it is easy to be convinced that this is how we expect our monarch to behave, because we can't be sure Harold Wilson said 'inside there is a Labour woman', and that he was her favourite of all 12 - she doesn't have favourites. Perhaps this isn't what was said but it is fun to try and imagine what goes on behind the scenes. A little whinge. The pearls are too large and uneven [she has a wardrobe full of pearls to choice from], the zippers are too prominent [that maybe to facilitate the changes of costume, which are lightning fast] and is her hair so long at the back? These are questions for Ivana Primorac, who was responsible for hair and makeup. Young Elizabeth [Nell Williams] appears at various stages from age 12 in flashbacks, so her whole life away from 'the audience' is touched upon. Perhaps now she can be left alone to age gracefully. Her facial expression is on record for all to see. 'Everyman', the 15th century much loved play will be shown from 8th August, followed by 'Hamlet' early November. You need to check the Dendy Portside site for dates and times.